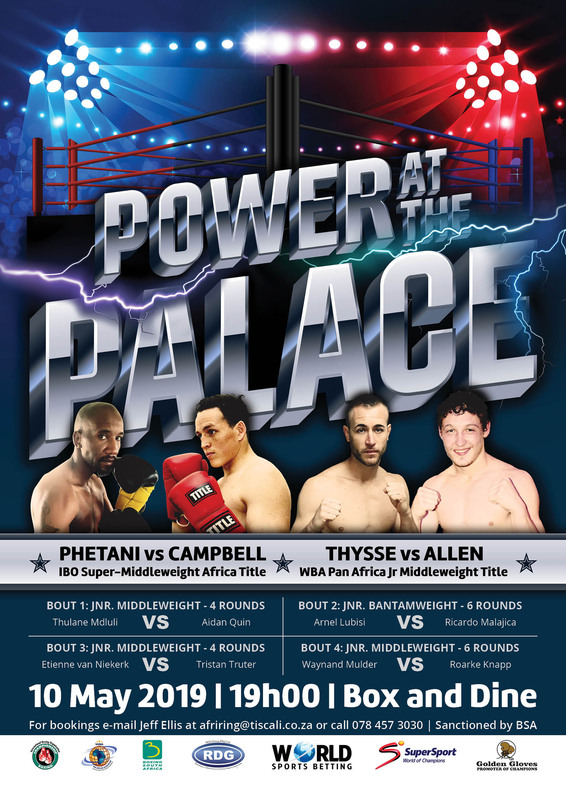 Supporting bouts could steel the thunder on 10th May at Emperors Palace. The under-card took center stage at today’s press conference. Brandon Thysse promised to give WBA Pan African Champion Boyd Allen a boxing lesson. Ricardo Malajika confident of winning by KO against Arnel Lubisi. 19 year old Thulane Mdluli said that he would stop Aidan Quinn within a round or two and both Etienne van Niekerk and Tristan Truter opted for points win with a promise of showing true boxing skill. All in all nice to see how fighters grow in confidence when given a platform. 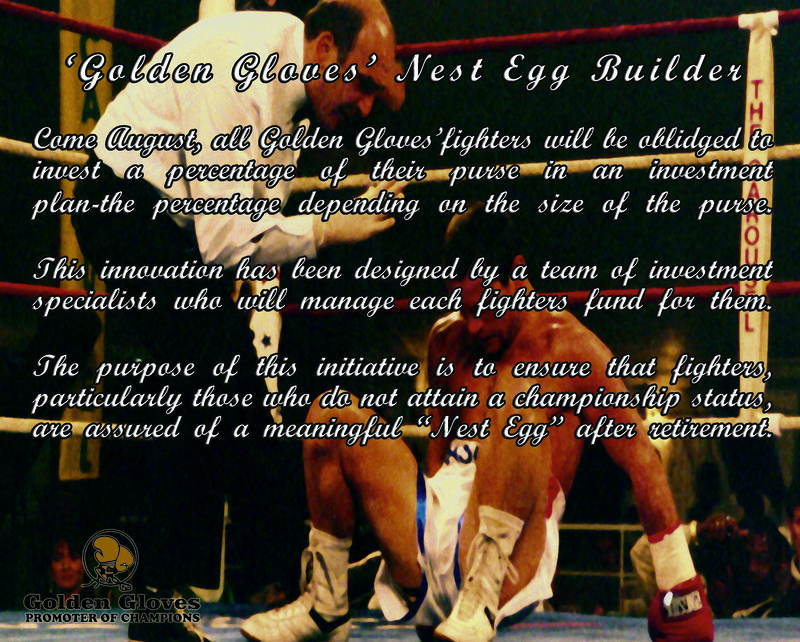 Come August, all Golden Gloves’ fighters will be obliged to invest a percentage of their purse in an investment plan – the percentage dependent on the size of the purse. This innovation has been designed by a team of investment specialists who will manage each fighter’s fund for them. The purpose of this initiative is to ensure that fighters, particularly those who do not attain a championship status, are assured of a meaningful “nest egg” after retirement. 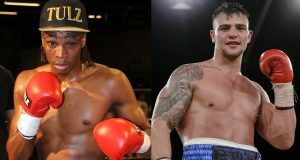 With the abdication of the cruiserweight crown by Oleksander Uysk, almost every boxer is vying to be the heir apparent. The Ukrainian holder of four major world titles after winning the inaugural World Boxing Super Series (WBSS). Some of the potential replacements are emerging from the second edition of WBSS which is at the semi-final stages with four boxers left-Andrew Tabiti, Yuniel Dorticos, Mairis Briedis and Krzysztof Glowacki. With all the belts now vacant as Uysk makes his forays in the heavyweight where he is already scheduled to face Cameroonian, Carlos Takam, the winner of the WBSS will likely claim some of the belts. But there is a more deserving boxer who is not in the WBSS and he already owns a piece of the cruiserweight kingdom. 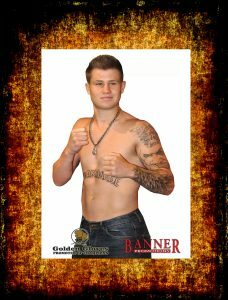 Kevin Lerena is the only champion remaining in the cruiserweight and he is arguably the most notable heir apparent. After being sidelined by a shoulder injury which cost him the WBSS participation, the 26-year-old has returned to the ring with devastating consequences. He blew away previously unbeaten Khazakhstan Artur Mann in four rounds and is now scheduled to face Vasil Ducar at Emperors Palace on June 8. His handlers are determined to keep him active to make up for missing out on WBSS. 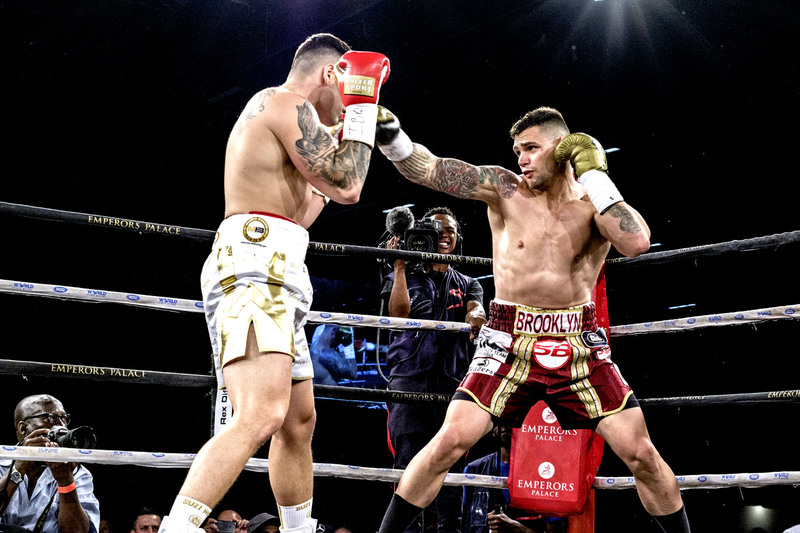 “Lerena is arguably the top dog in the division right now and it is vital that his name remains in the spotlight,” said the boxer’s promoter Rodney Berman whose Golden Gloves Promotion (GGP) will promote the June 8 bout. There is no doubt that Lerena will likely get the first call when the sanctioning world bodies look for someone to replace Uysk. The left hander already commands lofty placing in all the four major world bodies. It will therefore be a matter of him choosing which one to fight for. After all world bodies are made by boxers not the other way round and with Lerena’s reputation already sky high he can afford to pick and choose. Berman had no doubt that the left hander will be sitting in the summit of the cruiserweight by the end of the year. “He is the biggest hope in the division and is probably the most naturally gifted of them all,” he said. A convincing win on June 8 will more than back such claims and set Lerena on course to the world conquest. IBO SUPER MIDDLEWEIGHT AFRICA TITLE YANGA PHETANI (14-2-1) VS ROWAN CAMPBELL (8-0-0). 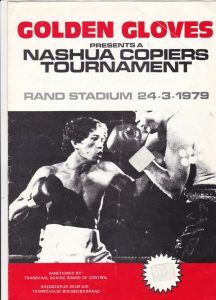 Jabulani Makhense’s clash against Michael Mokoena might be a good two months away but already it is invoking memories of yesteryear classic battles. 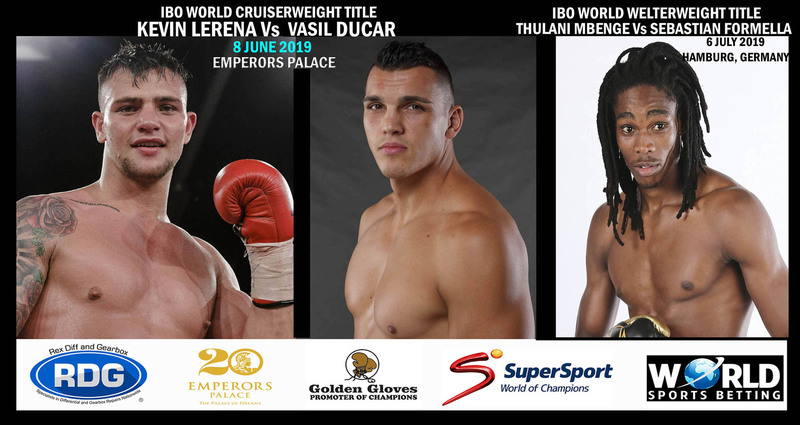 The duo will duke it out at Emperors Palace on June 8 as the co-feature to the return of IBO cruiserweight champion Kevin Lerena who will be defending his belt against Czech Republican Vasil Ducar. But there is nothing more intriguing than a local derby and Mokoena’s encounter against Makhense fits all the requirements of a local slugfest. The fact that Makhense’s WBA Pan African junior welterweight title will be at stake is stoking the fires of an already potentially explosives thriller. 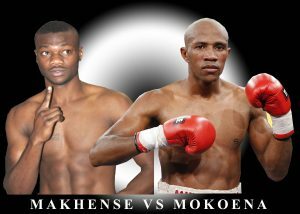 This even though Makhense has fought just seven times compared to Mokoena’s 16 bouts. Makhense’s spotless resume comprises quality opposition with the current SA junior welterweight champion Xolani Mcotheli being his last victim. Mokoena can also boost a national champion in his own fight record having bludgeoned SA lightweight champion Thompson Mokwana to a sixth round stoppage defeat in his last ring appearance. Mokoena also claimed the scalp of former world champion Lusanda Komanisi, stopping him in four rounds. So evenly matched are the two boxers than even promoter Rodney Berman knows a loss by either boxer will not mean he is not good enough. 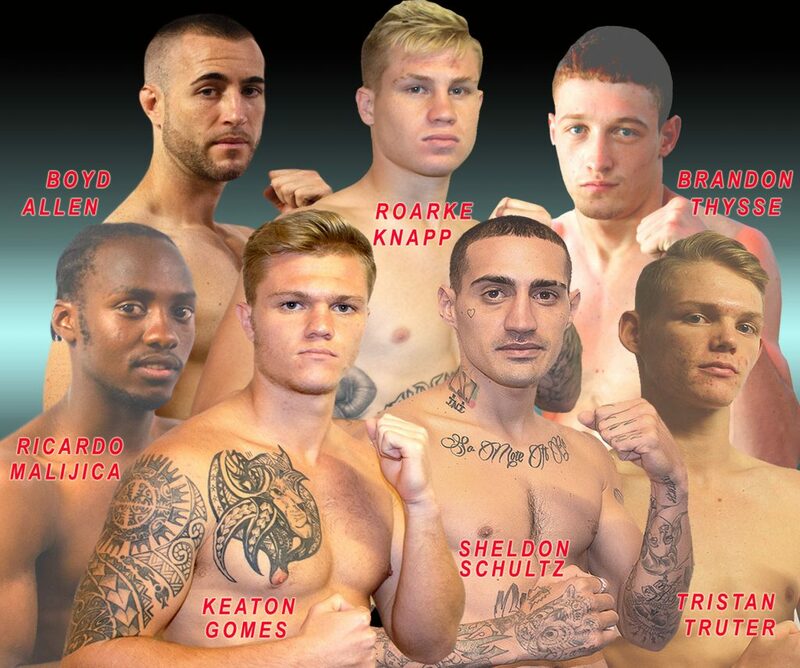 After all losers in classic bouts have gone on to achieve big things in their careers. “I want to assure that a loser will not be condemned to the scrap heap in this bout,” Berman said. While Mokoena ,who has lost just two times, will come with advantage in experience, he will have to adjust to the junior welterweight which Makhense calls his divisional home. The bout has all the ingredients for a fight of the year candidate. Big break for “Razor” Roarke Knapp. A big break for unbeaten exciting “Razor” Roarke Knapp. After only 9 fights he will feature on the inaugural “showtime” Wednesday night fights “ in the USA on either the 12th or 19th June ,a series launched to unearth young exciting talent . This great opportunity comes courtesy of Golden Gloves relationship with USA based Banner Promotions . There will be similar opportunities in the future for our young stars such as Malajica & Makhense to name two. SA World Champions back in the ring. 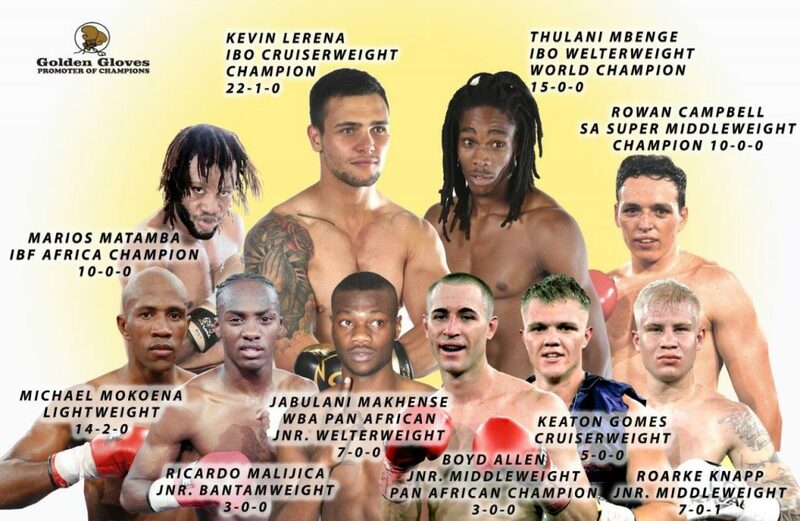 Two of SA’s world champions Kevin Lerena and Thulani Mbenge will risk their IBO titles in June and July respectively in crucial bouts which will define their next steps. Fresh from an impressive fourth round demolition of capable Khazakhstan-born German Artur Mann just less than a month ago, Lerena will step into the ring again on June 8 defending his cruiserweight crown against Czech Republic- born Vasil Ducar at Emperors Palace. Mbenge will travel to Germany for his first fight abroad, where he will defend his IBO welterweight title against fellow unbeaten star Sebastian Formella in Hamburg on July 6. Although Ducar will come with a novice record of eight fights with seven wins, he has an extensive amateur background having fought more than 80 bouts. The 29-year-old has also gained valuable experience in kickboxing and mixed martial arts where he displayed his remarkable power by winning the majority of his fights by knockouts. This convinced him to cross over to boxing where he seems to have retained his power, having knocked out six of his victims. He will challenge a boxer who is still basking in the glory after registering his 22nd win against a single loss, with a sensational fourth round knock out of previously unbeaten Mann a few weeks ago. “These European guys especially those fighting in heavy divisions, know how to fight,” he said. Berman will add a tasty WBA Pan African junior welterweight title clash between newly crowned Jabulani Makhense and Michael Mokoena on the undercard. Mbenge will come out of his Emperors Palace comfort zone and go to his opponent’s backyard as he is looking to expand his popularity to Europe. While Mbenge is also unbeaten in 15 bouts, his challenger has fought five times more with no opponent coming close to blemish his 20 fights winning streak. To familiarise himself with African opposition, Formella beat Namibian Betuel Ushona in his last fight in December last year. Mbenge was last in action when he scored a 10th round stoppage of Mexican challenger Miguel Vasquez to retain his crown also in December last year. “We have absolute confidence that Mbenge will retain his title. We will then unleash him to America,” added Berman. “Thulz” Mbenge next defends in Hamburg, Germany7 on 6 July against unbeaten, very formidable Sebastian Formella (20/0). Said Mbenge “I have my sights set on performing in the USA in one of the toughest divisions in world boxing. Neither Formella nor his record, nor fighting in his backyard – fazes me. In another very significant development in the Cruiserweight Division, Oleksandr Usyk officially vacated his WBA Belt. A similar decision is certain to follow in the other organisations, which is very exciting for our Cruiserweight sensation Kevin Lerena. Major pressure on him for his next defence “Powerhouse at the Palace” on 8 June as he cannot afford to falter, and a unification bout for him is imminent. Lerena – a feared Cruiserweight. Well, its all but official that Oleksander Usyk is moving up to heavyweight. 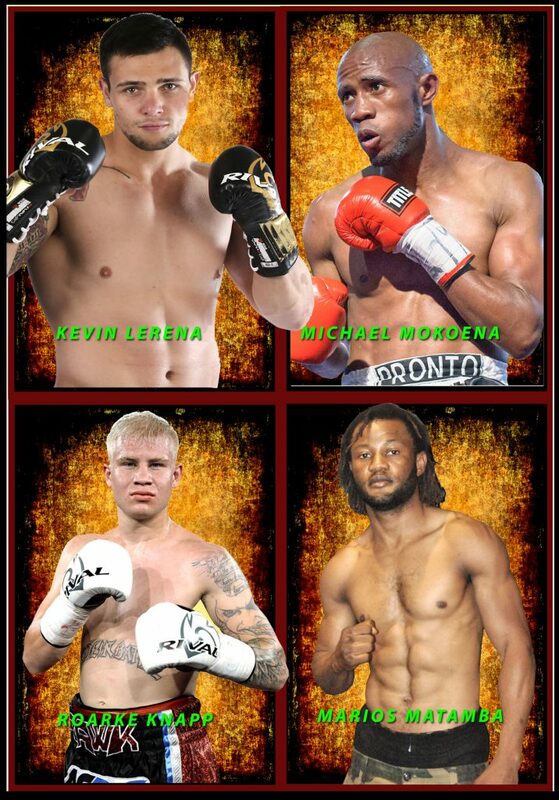 What exciting times for South African Sensation Kevin Lerena. No amateur experience and 22 fights under his belt and already one of the most feared Cruiserweights on the planet! After his magnificent demolition of Artur Mann its no surprise that one after another of the Cruiserweights are declining to trade fists with “2-Guns Lerena” using the old aged ploy of outpricing themselves. “Razor” is certainly living up to his hype and at 20 years of age already shows signs of reaching great heights globally. Such is his charisma, ability and raw power, it is only fitting that he is given the rare opportunity of fighting for the World Youth Title. “More Power at the palace” will also feature our other sensation Marios Matamba in defence of his IBF Africa Title, and a long overdue opportunity for a fighter who is going from strength to strength and fighting for the IBO African Title -namely Michael Mokoena. “Powerhouse at the Palace” plus 4 explosive Punchers!